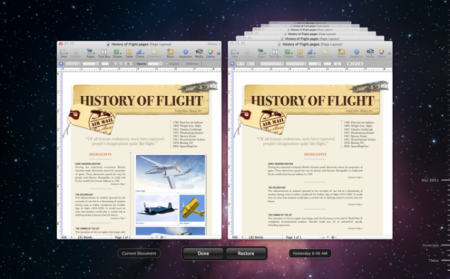 Apple has released iWork 9.1 to add Mac OS X Lion support for Apple’s productivity suit of apps. As well as improvements on Microsoft Office compatibility and adding new builds for Keynote: Anvil and Fall Apart. iWork apps are available in the Mac App Store for $19.99 each: Pages – Numbers – Keynote. Direct download link: iWork 9.1.